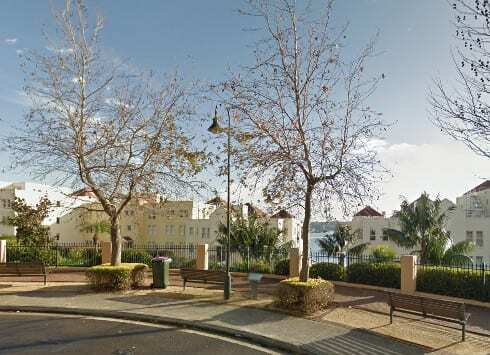 Tors and Landings is a relatively complex residential strata building in the Sydney suburb of Rozelle. It comprises a long, curved, sloping entrance driveway with an unusually high ceiling. This enters into a large open space, featuring a delivery area, visitors parking bays, wash bay and store rooms. It leads into a multi-level underground car park. There are around 100 private caged garages and multiple corridors, stairwells, fire stairs and lift lobbies, plus several bin rooms and plant rooms. The strata committee made it clear that price was a key consideration in their decision making for an LED lighting upgrade. In the main car park areas and corridors we proposed the Chamaeleon, a high quality LED light that has been designed specifically for “back of house” areas. In the car park entrance, LED high-bays were recommended and in the individual caged garages brand new battens with LED tubes. Ecovantage organised a kick-off meeting with the strata committee to discuss a number of logistical issues including delivery of the lights, removal of old fittings, timings etc. The committee were heavily involved in the planning phase and provided detailed information to residents about the nature and timing of the upgrade, which helped the install run smoothly and on schedule. We worked hard to ensure this was managed as smoothly as possible. For example the entrance driveway required the hire of special equipment with a certified driver so we could safely cope with the width, slope and ceiling height, which were unique to this site. In relation to the private garages the careful planning paid off, and we were able to replace the lights in almost all of the garages – a remarkable feat given the inherent difficulties associated with accessing such a large number of private areas. Overall, the light levels have been matched or improved throughout the site, most notably in the areas with the high bay lights. This is pleasing considering the much lower wattage levels of the new lights and the de-lamping that has taken place. The upgrade has achieved a remarkable reduction in the energy use at this site. 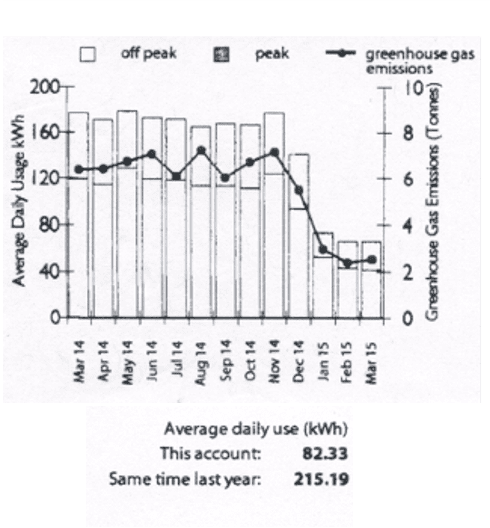 Following is an image of one of their bills, which clearly shows the significant reduction in energy consumption from January 2015. The lighting upgrade will also provide substantial savings in their ongoing maintenance costs. For example in the emergency fitting batteries can be easily replaced by a handyman without the need for an electrician to power down the site and remove and replace the whole fitting, which would have been the case prior to the upgrade. The long lasting LED lights will reduce the need for regular globe replacements, which in the hard to reach high ceiling areas can be extremely expensive.